The strike was called by the CCOO (Confederación sindical de comisiones obreras), the UGT (Unión General de Trabajadores), two of Spain's major union confederations, and the CGT (Confederación General del Trabajo), a split from the anarcho-syndicalist CNT. They are yet to receive a concrete response from Amazon. Nonetheless, the strike saw an estimated 98% of the total staff walk out, paralysing the warehouse for two consecutive days. The Amazon logistics centre of San Fernando de Henares, near Madrid, was the company's first one to open in the country and the biggest, with approximately 1,100 permanent workers and 900 employed by temp agencies. 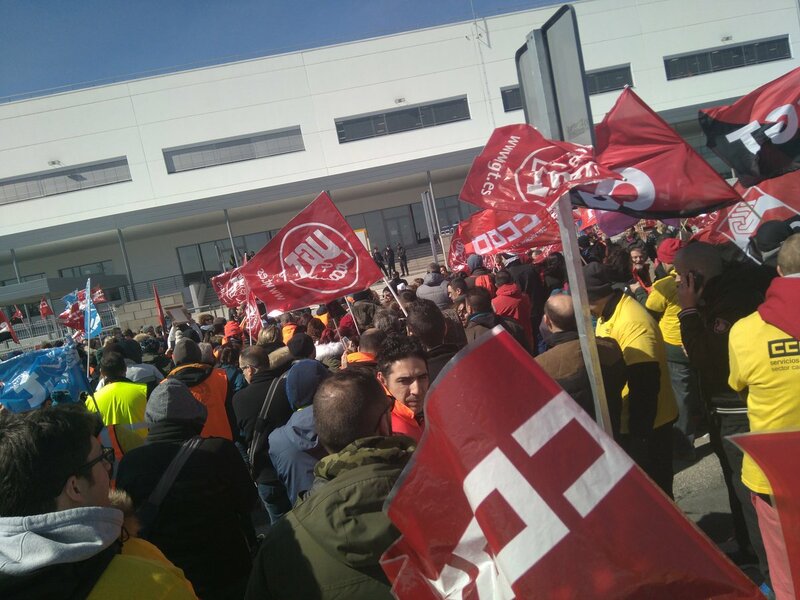 The strike, the first of its kind at Amazon in Spain, was voted for by 75% of the permanent workforce, in an assembly earlier this month, as a result of the failure to reach an agreement between the union and the company, to renew the collective agreement that expired on December 31th of 2016. This agreement was extended by law a further year, without an actual agreement between the parties. The two-day walkout was the result of a proposition from Amazon to adhere to the provincial agreement for the sector along with changes that workers considered damaging and refused to sign it. Workers feared that under the new agreement, the mid and low-category salaries would be frozen, they would lose money if they took sick leave, and would also lose pay for night-shifts. During the strike, Amazon released a statement which dictated that all employees of the San Fernando warehouse would receive a salary rise of between 1.6% and 5.6%, depending on their category, from April 1th onward. The workers demand to reestablish the old collective agreement, to maintain current working conditions, and increase salaries by an average of 1.5% over above the current rate of inflation. What baffles some of the union delegates is that a company such as Amazon, that turned three billion dollars' profit in 2017, a 20% rise on the year before, is consistently trying to cut wages all over Europe.